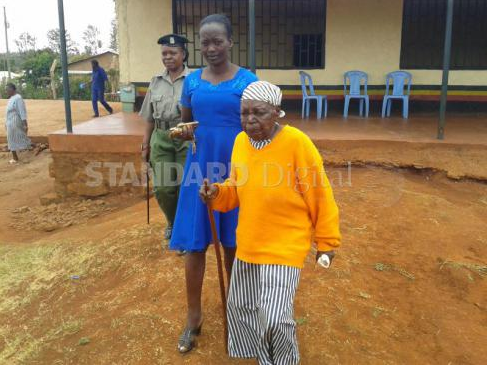 100 year old Margaret Ngima was sentenced to three months imprisonment by the Embu High Court for contempt of court together with her sons Peter Njue, 72, and Angelo Gichovi, 52, last week. The three are accused of ignoring a court order to allocate a two acre piece of land to Justa Wawira which according to the court is legally hers. Lady Justice Florence Muchemi of Kiambu Law Courts ordered Ngima to pay a fine of Sh100,000 or spend three months in prison in which she couldn't raise and had to face the jail term.